"Dear Carlene and Ray. I am so sorry to hear of your..."
"Our sincere condolences in the passing of your daughter..."
"Our thoughts and prayers are with you, Ray and Carlene. 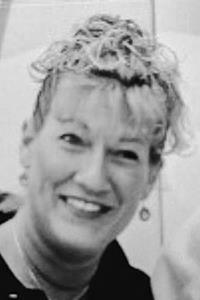 ..."
"Raylene so sorry to hear of the passing of your younger..."
SKOWHEGAN - Heidi Rae Rickards, 47, passed away Jan. 30, 2019, at MaineGeneral Medical Center in Augusta. She was born March 12, 1971, in Skowhegan, the daughter of Ray V. and Carlene (McLaughlin) Rickards. She graduated from Carrabec High School in 1989, attended the School of Cosmetology, and graduated from Central Maine Community College with an Associate Degree. Heidi had many jobs throughout her life. She was a cosmetologist and a medical secretary. She worked as a clerk in various stores and enjoyed socializing with many people. She had a wonderful personality and a "heart of gold" according to numerous friends. Heidi enjoyed the summer when she was able to go camping, visit the beach to sunbathe, and spend time with family during the holidays and special occasions or get-togethers. She is survived by her parents, Ray and Carlene Rickards of North Anson; boyfriend, Dustin Hutchins of Skowhegan; stepchildren, Zachary Daoust and his daughter Avah of Raymore, Mo., Cassandra Daoust of Inverness Fla.; sister, Raylene Bates and husband Martin of Embden; niece Cassandra Marker and husband Ryan of Aurora, Colo., nephew Chris Bates and girlfriend Allyson Poulin of Vassalboro; special friends, Debra Hutchins, Steve Dudley, and Josh Hutchins. A Celebration of Life will be held in the spring of 2019 at the convenience of the family. Arrangements under the direction and care of Dan & Scott's Cremation & Funeral Service, 445 Waterville Road, Skowhegan, ME 04976.